Academic advising is a collaborative and holistic process designed to facilitate students’ understanding of the meaning and purpose of higher education and to foster students’ intellectual and personal development toward academic success and lifelong learning. Successful academic advising is a shared responsibility between an advisor and a student. It requires active participation from both parties. It is ultimately the student’s responsibility to make decisions about their life goals by creating a plan to reach those goals. The advisor serves as a facilitator of communication and a coordinator of learning experiences through course and career planning and academic progress reviews. Academic advisors are committed to provided students with high-quality assistance in order to support them in the development and pursuit of academic objectives consistent with their life goals and available opportunities at UCA’s campus. Academic advising is available to all students at UCA. Our goal is to assist students in a variety of ways. Advisors can explain the academic requirements for university programs; discuss and explain the requirements of the programs offered; interpret academic policies and procedures; develop program plans; discuss various program options; help students improve their study skills; and refer students to appropriate departments and campus resources as necessary. Students are required to meet with their assigned academic advisor at least once each semester to ensure they remain on track. What are the expectations of academic advisors? Prepare in advance for advising appointments, coming up with a list of any pertinent questions, classes of interest, academic goals, etc. Advisors are assigned to students based upon their student classification and their declared major. 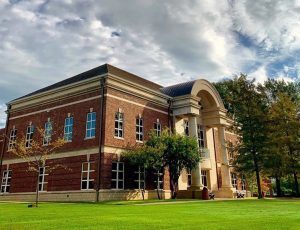 Generally, students with less than 60 hours completed are advised by our team of professional advisors in the Academic Advising Center in Harrin Hall. Students with more than 60 hours completed are generally assigned to a faculty advisor within their major department. Students may find their assigned academic advisor by logging into their MyUCA account and then selecting Self-Service > Student > Student Records > View Student Information. Click here for a video tutorial of how to find your assigned academic advisor. Get it right. Get advised.